After many years of pursuit, Taylor Wimpey Plc (TW), one of the UK’s largest house builders, heard in February 2017 that the ‘Builders Block’ was lawful under EU law. This was a significant and complex VAT case heard before the Upper Tier Tribunal (Tax & Chancery) 2017-UKUT0034-(TCC) in which Taylor Wimpey had sought recovery of £51.2million of input VAT. This related to various appliances and goods incorporated into their houses, amongst others: carpets, built-in ovens, extractor hoods, washing machines, dishwashers, freezers and microwave ovens. The dispute related to a ‘Fleming claim’ (claims for under-declared or overpaid VAT, potentially going back as far as the inception of VAT in 1973), that Taylor Wimpey made against £51.2million of VAT it paid on goods installed in new zero-rated homes between 1973 and 1997. The Claim Items were white goods and carpets, which TW argued had been unlawfully taxed by HMRC. The legislation in question was the UK’s ‘Builder’s Block’; an exclusion of white goods from input tax recovery, first introduced in 1973 but with subsequent amendments, including the addition of carpets in 1987. HMRC had essentially ‘Blocked’ certain assets from recovery - even where they were ordinarily incorporated into a building. HMRC argued that the Builder’s Block had been in effect during the period of the claim, and therefore TW were not entitled to any reimbursement. They also argued that the Builder’s Block was perfectly lawful, referencing the EU mandate that allowed member states to determine “other exemptions which it considers necessary” in relation to tax law. This allowed the UK Government to determine which items it would and would not allow to be tax-deductible. TW initially took their case to the First-Tier Tribunal (FTT) in 2014 (UKFTT 575 TC03700) and again in 2015 (UKFTT TC0074), which ultimately found that the Builders Block was, in some aspects, contrary to EU law. However the result was unsatisfactory; accepting the FTT decision could have cost TW more than the VAT recovery they were claiming. So TW appealed to the Upper Tribunal. The Upper Tribunal (UT) heard the case in November 2016 and the decision was published in February 2017, in which Mr Justice Warren and Judge Berner ruled against TW’s claim. 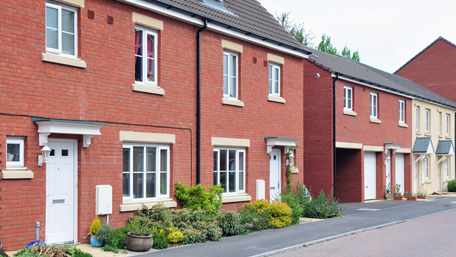 The UT cited Article 17 of the Second Directive of EU law, which gave the UK entitlement to zero-rate new builds but denied refunds for other goods incorporated in the buildings. The UT determined that the Builder’s Block did not contravene EU law by providing for specific exemptions of certain items. Thus it was held to be perfectly legal. The UT also held that whether an asset is ‘incorporated’ cannot be determined by reference to the law on chattels, or whether the item forms part of a single zero rated supply. In order for an item to be incorporated there has to be a material degree of attachment to the building. Such attachment is more than simply being attached to the electricity supply by a removable plug - to consider an appliance ‘incorporated’ something extra is necessary. This can be built-in housings, or fixing it in a non-temporary way to the building structure or the relevant mains services. Lastly, the UT held that an item “will be ordinarily installed or incorporated, … unless its installation or incorporation would be out of the ordinary, uncommon or unusual”. Importantly, the UT clarified the comparator when applying the ‘ordinarily’ exemption, as in McCarthy & Stone plc (VTD 7014) you should look at “buildings which most closely accord with the use of the building in question”; i.e. compare luxury houses with luxury houses, single family dwellings with single family dwellings, flats with flats etc. Contrary to the FTT, the UT decided that what is ordinary must be considered as at the time of the expenditure and not just when the legislation was amended or enacted. The UT chose not to determine the individual claim items – but instructed the parties to review and agree the position by reference to the decision principles they had set out. This was a complex and highly technical VAT case, which ultimately could have affected house builders in the UK significantly. Given the potential VAT at stake, HMRC had fought vigorously to maintain the current, and in their view, established position. As yet there has been no public update available to see what the final outcome has been reached by HMRC and TW. If they fail to agree a position, having relied upon the UT decision, it is possible that the matter may revert back to the UT for final determination on an item by item basis. As it currently stands, the ‘Builders Block’ is still valid – but there are some aspects of the case dicta that help clarify the current application of the law for developers. Please contact the E3 Consulting team if you wish to discuss any aspect of this case, any Real Estate VAT issues or other property tax matters.